Outdoor garments in single layered Ventile® are lightweight, windproof, showerproof and breathable. 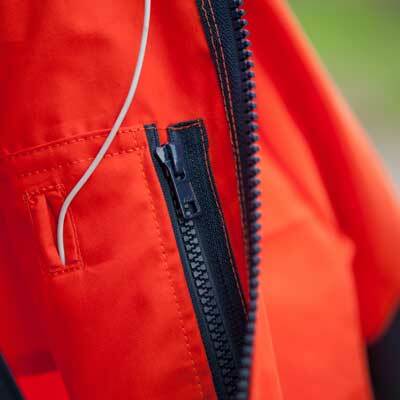 An outer & inner layer of Ventile® - windproof, fully waterproof and highly breathable. Lightweight single Ventile® with double layered Ventile® on areas most exposed to rain - an optimum combination. Ventile® outer + synthetic inner = excellent perspiration control that keeps you warm & dry in the worst conditions. A quick drying technical fleece, made from Karisma warp knit fleece for superior wind and abrasion resistance.